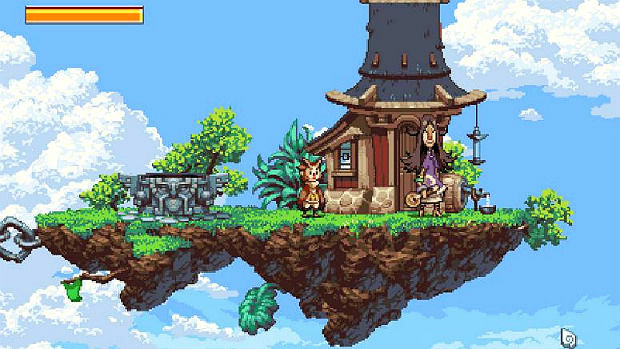 The Owlboy demo makes a good first impression -- after D-Pad Studio's logo flashes, players are treated to a sweeping, pixelated vista as Otus looks on. Pastoral music plays and, though the demo begins in medias res, the menu screen tells players everything they need to know: Otus' home is serene and sweet and it would be terrible if it were attacked by sky pirates. It sets the scene nicely and hints at a society based on a series of floating caves, a society in which owlboys are deemed normal and perhaps even crucial to navigating that bizarre, gravity-free world. It's heady stuff. But, back to the present tense: when Otus' hometown is attacked by sky pirates, he and Geddy -- his sidekick, gunner, guide, and de facto exposition machine -- set off to be heroes. They accomplish this through a mostly elegant mix of flying, shooting, and puzzle solving. 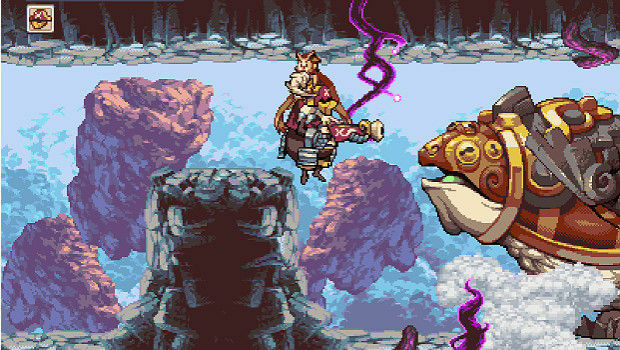 The flight mechanics in Owlboy serve as the central hub of the entire game, which isn't so much a platformer as it is a series of expansive areas that lend themselves to Otus' avian mobility. Branching off from that central tenet are the game's secondary and tertiary mechanics: combat and puzzle-solving, both of which are made possible by Otus' surprisingly strong grip. By grabbing Geddy -- and later, Alphonse -- by the shoulders, Otus becomes a mobile gun unit, mowing down hapless wildlife to clear a path and collect the red, blue, and green "ish" they leave behind. Controlling Otus and his gunner independently means that Owlboy plays somewhat like a stiff twin-stick shooter. 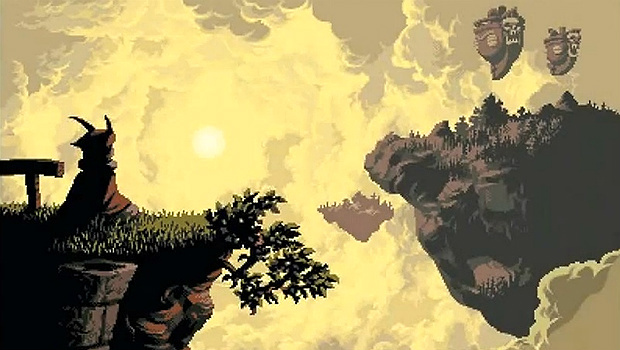 For me, the simple act of flying, of finding new ways to navigate each screen, is the real joy of Owlboy; and it's a shame that the enemies feel like obstacles blocking the next section of airborne exploration. This is compounded by the fact that most enemies are bullet-sponges and like to bumrush Otus even though he's not particularly mobile enough to avoid them. The combat is certainly passable -- it's not bad, per se -- but it's too early to say how (or how effectively) it will be integrated into the game as a whole. That there's an entire attendant economy of shops and upgrades and attack-boosting items only muddies the question. The demo fares better when Otus is using his grip and throw functions to solve puzzles. Even early in the demo, it's clear that Owlboy has potential in the puzzle department, mostly because it's mechanics are so simple -- pick something up and move it somewhere else. By keeping Otus' abilities pared down, D-Pad Studio has the freedom to make puzzles as complicated as they want, so long as it can be solved by something from one place to another. So far, that includes plugging wind tunnels, dropping bombs to open new passages, and watering a giant, presumably carnivorous pitcher plant. And Owlboy is full of smart, subtle design choices, too. For example, any time Otus and his gunner are separated, players can re-unite them with one click. I often found myself jettisoning Geddy and Alphonse to clear a particularly tricky section or to solve a puzzle only to pick them back up later, no backtracking required. Owlboy is packed with a number rudimentary systems cribbed from other genres, but D-Pad Studios' eye for design comes through in the things they didn't include. For starters, there don't seem to be any collectibles -- your progress is gated only by your ability to fly, shoot, and think, not by your willingness to magpie trinkets. More fundamentally, there don't seem to be any physics attached to Owlboy's flight. Otus can hover, quite impossibly, with no input from the player -- there's no need to flap his wings, for example. While this keeps the action simplified and straightforward, it also limits the gunner dynamics: Alphonse is clearly heavier and bulkier than Geddy, but Otus doesn't have to sacrifice any speed to carry him. 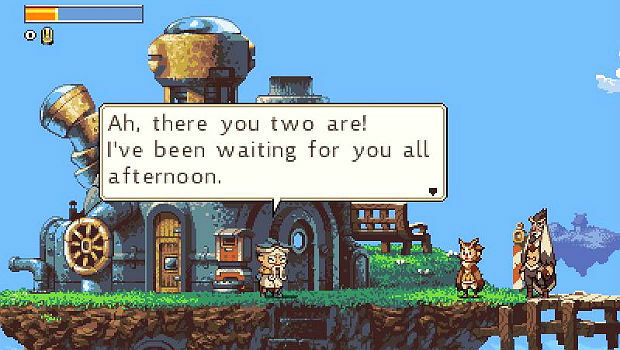 There's a lot to like about Owlboy: its art and animation are charming, its music moody and evocative. 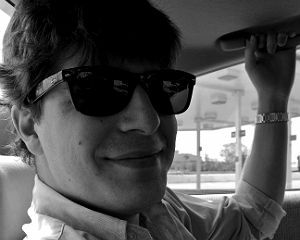 It taps into the pure, unadulterated joy of being unfettered by gravity. And it manages to fuse a half-dozen (admittedly simplified) systems into one game with few hiccups. I'm just hopeful that the lush and vibrant world that Owlboy teases is complemented by a set of equally robust mechanics hinted at, but never actually presented, here.